other tasks, as assigned, depending on interest and experience. The Front Desk Volunteer has the opportunity to staff the Museum when open from Thursday to Sunday 11AM-4PM. This is a great opportunity for those who want to work in the non-profit field! We would prefer at least 2 hours per week, but will accept a minimum commitment of 4 hours per month. 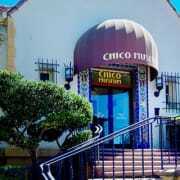 Interest in the local history of Chico, California and the surrounding Butte County area.